The University Integration Program (PIU) is especially designed for students with highly advanced Spanish language skills who wish to integrate themselves fully into a Spanish university therefore students enroll directly in regular classes with Spanish students. 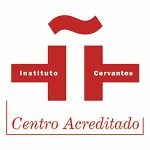 Furthermore, if you are a business major but are not fluent in Spanish, there are a number of business courses available in English with Spanish students as well. Please note that a minimum G.P.A. of 2,75 (on a 4.0 scale) is required to participate in the University Integration program (PIU).